When it comes to carefully selecting team building events, Right Angle Corporate has left no area of London unexplored. From the bustle of events at exclusive hotels such as The Ned at to proper London pubs such The Barley Mow, we have done all of the hard work, so you don’t have too. The best thing about being in London is that you can easily find something for everyone. From events for international delegates, to companies local to the area, you are guaranteed to experience amazing events in wonderful venues. 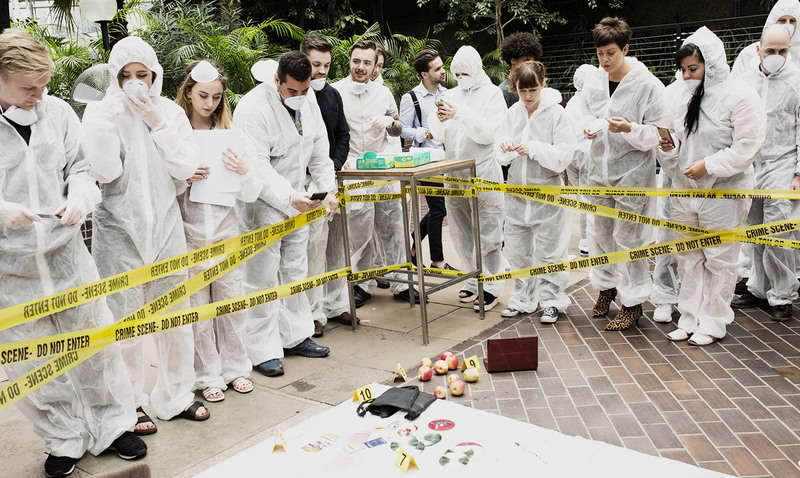 Whether you and your team fancy experiencing The Killing in an old bank vault or you want to challenge your team to Escape The Box, there is an endless selection of London team building activities we can offer. Team building activities should be exhilarating and something your employees will remember forever. ... in “The Vault”, an old bank vault in Leadenhall, an authentic “underground” experience designed to test your team in a totally new way. Host your event in a totally unique central London space surrounded by tropical plants without the risk of rain.